1. Get Kylie’s perfect pout with Smashbox’s Be Legendary Lipstick in Primrose. 2. Rock Beyoncé’s show stopping pony with RPZL’s Pony In an Instant! 3. 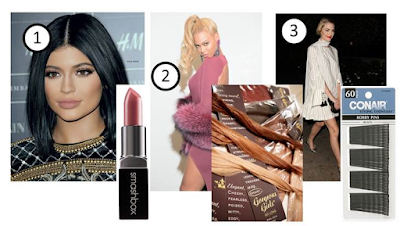 Add a hair accent to your look like Jaime King with Conair Styling Essential Bobby Pins.